There is an ethical problem at the root of our philosophical difficulties; for men are most anxious to find truth, but very reluctant to accept it. We do not like to be cornered by rational evidence, and even when truth is there, in its impersonal and commanding objectivity, our greatest difficulty still remains; it is for me to bow to it in spite of the fact that it is not exclusively mine, for you to accept it though it cannot be exclusively yours. In short, finding out truth is not so hard; what is hard is not to run away from truth once we have found it. When it is not a "yes but," our "yes" is often enough a "yes, and . . ."; it applies much less to what we have just been told than to what we are about to say. The greatest among philosophers are those who do not flinch in the presence of truth, but welcome it with the simple words: yes, Amen. When the philosophers are unable to practice what they are preaching to others, the credibility of their entire philosophical system goes down. Etienne Gilson, in his book The Unity of Philosophical Experience, (Chapter 1, “Logicism and Philosophy”), says that the philosophy of the Middle Ages was mainly an endeavor to solve one problem—the problem of the Universals. 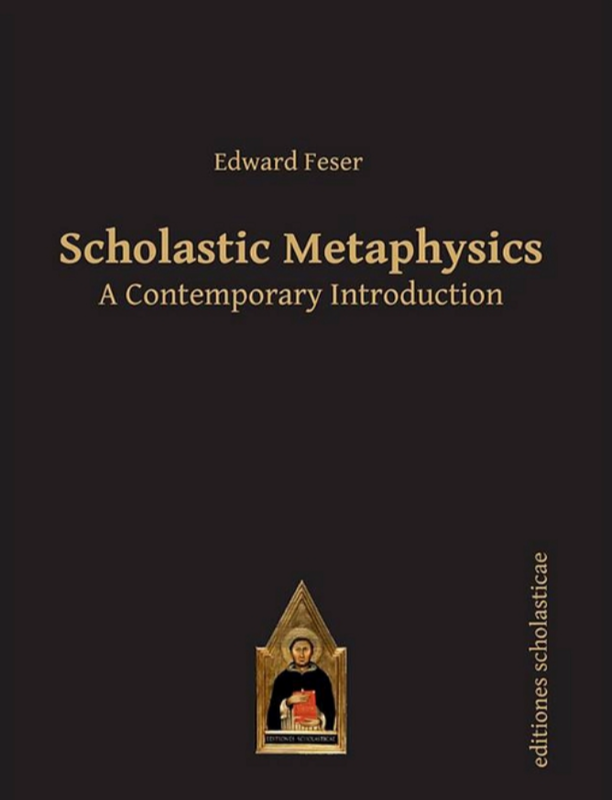 He talks about Peter Abailard, the logician of the Middle Ages, who philosophized extensively on the problem of the Universals, but was unable to find a solution to the problem and ended up being mired in skepticism. My point is that Abailard mistook logic for philosophy; but what about logic itself? 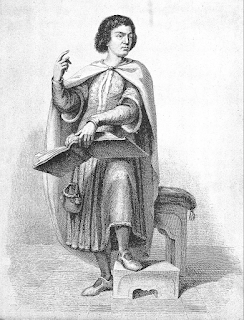 Abailard was a logician trespassing on philosophical ground because, as they knew practically nothing else, the natural approach of twelfth-century men to philosophy was logic. Yet, before studying logic, they had always learned something else; namely grammar, with the unavoidable result that grammar was their normal approach to logic. The consequence of such a procedure was that Abailard was just as tempted to mistake grammar for logic as he was to mistake logic for philosophy. Now, what is the subject matter of grammar? It is language. Language itself is made up of words. It is the proper task of the grammarian to classify the various kinds of words of which our common speech is composed, to define their respective functions and to formulate the laws that determine their connections. As a distinct science—and it is for talking beings the most fundamental of all—grammar knows nothing but words. If you ask a grammarian a question, and if he answers it as a grammarian, your problem will inevitably be reduced by him to a mere question of words. Hence Abailard's famous sentence: "Now, however, that reasons have been given why things cannot be called universals, taken either singly or collectively, because they are not predicated of many, it remains to ascribe universality of this sort to words alone." Gilson is of the view that if Abailard had been “in a position to understand the import of that problem and to realize its specific nature, he would at last have discussed a philosophical problem in a philosophical way.” The ultimate result of Abailard’s mistake was skepticism. The history of philosophy is much more part of philosophy itself than the history of science is part of science, for it is not impossible to become a competent scientist without knowing much about the history of science, but no man can carry very far his own philosophical reflections unless he first studies the history of philosophy. 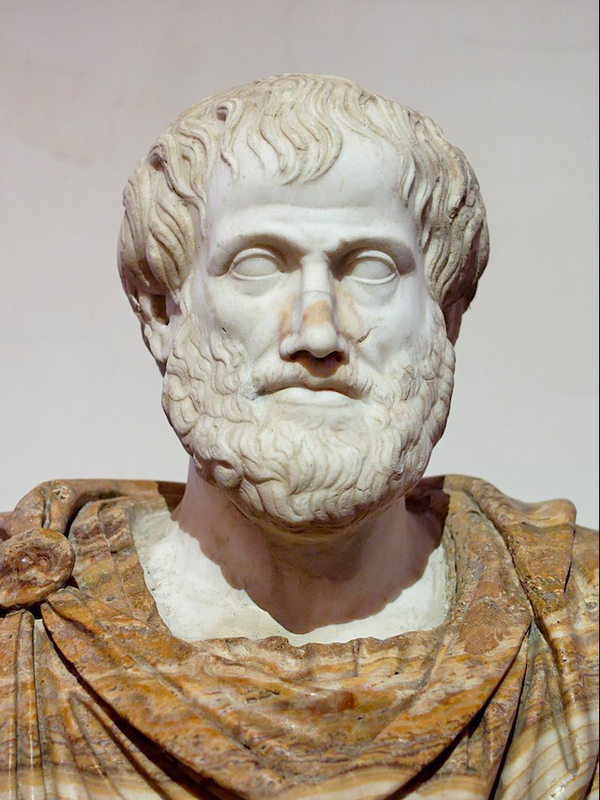 In point of fact, the First Book of Aristotle's Metaphysics is also the first known History of Greek Philosophy, and it remains a perfect example of how such a history should be written. For indeed it is a philosophical history of philosophy, whereas too many modern histories of philosophy are written in an unphilosophical way. Unless it may be shown as exhibiting some intrinsic intelligibility the endless chain of mutually destructive systems that runs from Thales to Karl Marx is less suggestive of hope than of discouragement. Gilson’s aim in the book is to show that the history of philosophy makes philosophical sense, and is a part of the general philosophical knowledge. …metaphysics is prior to epistemology. One way in which this is the case is that absolutely every epistemological theory rests on metaphysical assumptions—including Hume’s when he begins with the supposition that there are impressions and ideas, and including the naturalist’s when he supposes that our cognitive faculties are at least reliable enough to make natural science an objective enterprise. Naturally, these metaphysical assumptions cannot be justified by reference to the epistemological claims they support without begging the question. 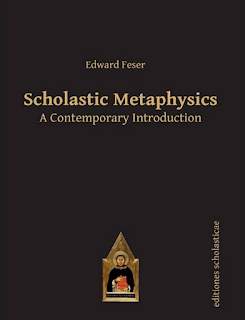 When the critic of metaphysics insists that the metaphysician establish his epistemological credentials before making any metaphysical assertions, he is making a demand that is incoherent and to which he does not submit himself. Another way in which metaphysics is prior to epistemology is that our knowledge of various metaphysical truths is something with which a sound epistemology must be consistent, so that if an epistemological theory is not consistent with our having knowledge of these truths then it must be rejected. In the limiting case, an epistemological theory that was inconsistent with its own metaphysical assumptions would obviously be for that reason something we must reject. Feser’s notes that there are several metaphysical truths that cannot be coherently denied, and if naturalism and scientism are not facilitating our knowing of such truths, then we can regard naturalism and scientism as false doctrines. "It has become something of a cliché, rather thoughtlessly repeated by well-meaning people of a certain generation, that to learn Thomism one ought to read Thomas himself and ignore the Thomist commentators and manualists who built on his work. I couldn’t disagree more. No great philosopher, no matter how brilliant and systematic, ever uncovers all the implications of his position, foresees every possible objection, or imagines what rival systems might come into being centuries in the future. His work is never finished, and if it is worth finishing, others will come along to do the job. Since their work is, naturally, never finished either, a tradition of thought develops, committed to working out the implications of the founder’s system, applying it to new circumstances and challenges, and so forth. Thus Plato had Plotinus, Aristotle had Aquinas, and Aquinas had Cajetan – to name just three famous representatives of Platonism, Aristotelianism, and Thomism, respectively. And thus you cannot fully understand Plato unless you understand Platonism, you cannot fully understand Aristotle unless you understand Aristotelianism, and you cannot fully understand Thomas unless you understand Thomism. True, writers in the traditions in question often disagree with one another and sometimes simply get things wrong. But that is all the more reason to study them if one wants to understand the founders of these traditions; for the tensions and unanswered questions in a tradition reflect the richness of the system of thought originated by its founder." Several major philosophers have attempted to create a system of philosophy that is complete, fully-integrated, self-consistent, and capable of offering a credible view of man’s place in the universe. But most of these philosophers have achieved the opposite—they have created doctrines that are full of glaring inconsistencies while also containing a few truths. 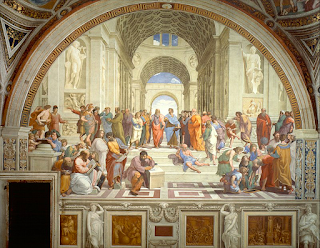 The works of Plato, Aristotle, Aquinas, Newton, Descartes, Locke, Hume, and Kant are full of flaws and inconsistencies, and yet these philosophers have made highly fruitful contributions in the development of our modern world. There is no reason to believe that a self-consistent system will contain more truths than the one that is not self-consistent. In fact, most self-consistent systems in history are totally false (like the religious doctrines). One of the most important lessons of history of philosophy is that a philosophical system without any inconsistencies is unattainable, and those who try to create such a system often end up creating a cult (religious or secular). Not only valid philosophical opinions, but even the errors, can prove useful in the progress of philosophical thought. 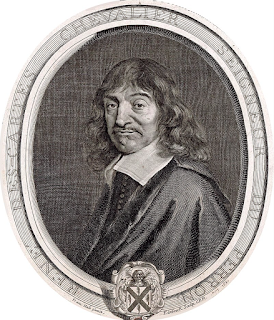 René Descartes’s proposition, “Cogito, ergo sum,” ("I think, therefore I am”), is incorrect by itself, but it has led to the penetration of individualistic thought into philosophy. 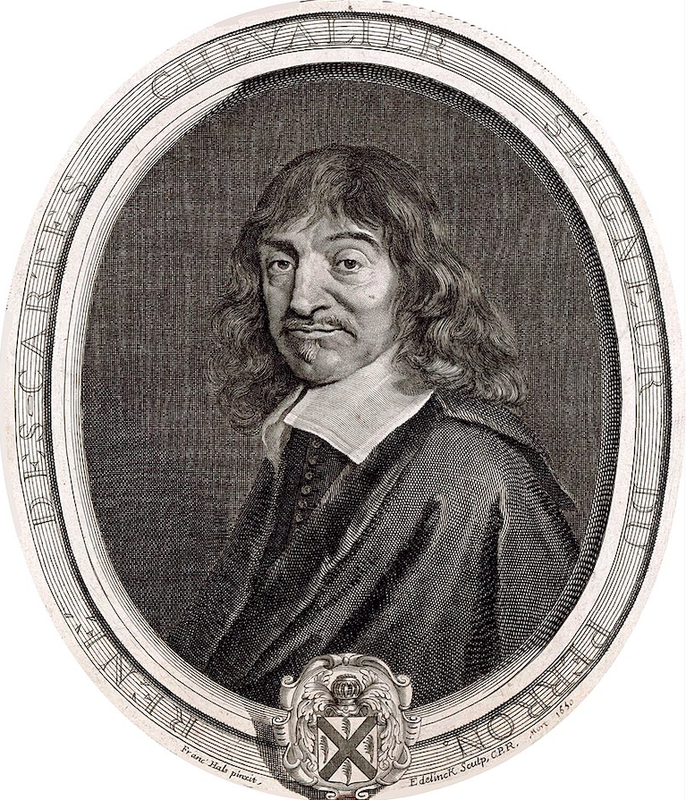 Descartes's fundamental certainty, "I think, therefore I am," made the basis of knowledge different for each person, since for each the starting-point was his own existence, not that of other individuals or of the community. His emphasis upon the reliability of clear and distinct ideas tended in the same direction, since it is by introspection that we think we discover whether our ideas are clear and distinct. Most philosophy since Descartes has had this intellectually individualistic aspect in a greater or less degree. Descartes was not a philosopher of individualism, but his Cogito led to individualism becoming one of the central concerns in philosophy. Russell traces the origin of individualistic trends to Ancient Greece, where individualism arose as a reaction to the loss of political liberty in the time of Alexander. While the Platonic and Aristotelian schools in Greece saw man as a member of the community, the Cynics and Stoics were supportive of individualism. The Christian mystics, who were influenced by the Stoics, kept individualistic trends alive in Christian ethics. The coming of Protestantism further strengthened the individualistic tendencies because for the protestants truth is not a social but an individual enterprise. "Where would a man like me be, where would you be, if we had been born before 1800? 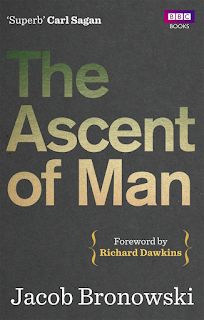 We still live in the middle of the Industrial Revolution and find it hard to see its implications, but the future will say of it that in the ascent of man it is a step, a stride, as powerful as the Renaissance. The Renaissance established the dignity of man. The Industrial Revolution established the unity of nature." Speaking of Spinoza he [Nietzsche] says: "How much of personal timidity and vulnerability does this masquerade of a sickly recluse betray!" Exactly the same may be said of him, with the less reluctance since he has not hesitated to say it of Spinoza. It is obvious that in his day-dreams he is a warrior, not a professor; all the men he admires were military. His opinion of women, like every man's, is an objectification of his own emotion towards them, which is obviously one of fear. "Forget not thy whip"--but nine women out of ten would get the whip away from him, and he knew it, so he kept away from women, and soothed his wounded vanity with unkind remarks. He [Nietzsche] is never tired of inveighing against women. In his pseudo-prophetical book, Thus Spake Zarathustra, he says that women are not, as yet, capable of friendship; they are still cats, or birds, or at best cows. "Man shall be trained for war and woman for the recreation of the warrior. All else is folly." The recreation of the warrior is to be of a peculiar sort if one may trust his most emphatic aphorism on this subject: "Thou goest to woman? Do not forget thy whip." It does not occur to Nietzsche as possible that a man should genuinely feel universal love, obviously because he himself feels almost universal hatred and fear, which he would fain disguise as lordly indifference. His "noble" man—who is himself in day-dreams—is a being wholly devoid of sympathy, ruthless, cunning, cruel, concerned only with his own power. King Lear, on the verge of madness, says: “I will do such things—What they are yet I know not—but they shall be the terror of the earth.” This is Nietzsche's philosophy in a nutshell. It never occurred to Nietzsche that the lust for power, with which he endows his superman, is itself an outcome of fear. Those who do not fear their neighbours see no necessity to tyrannize over them. Men who have conquered fear have not the frantic quality of Nietzsche's "artist-tyrant" Neros, who try to enjoy music and massacre while their hearts are filled with dread of the inevitable palace revolution. I will not deny that, partly as a result of his teaching, the real world has become very like his nightmare, but that does not make it any the less horrible. 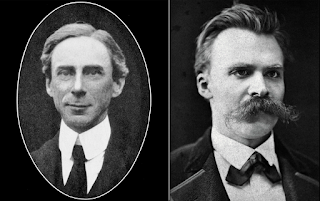 So is it possible to make sense out of Russell’s tirade against Nietzsche? I think Russell’s tirade must be seen in light of the fact that A History of Western Philosophy was published immediately after the Second World War, in 1945. In those days most intellectuals saw Nietzsche as the philosophical godfather of Nazism. In my opinion there is no intellectual connection between Nietzsche and the Nazis—but Russell, when he writing his book in the 1940s, was convinced that Nietzsche spawned the Nazis, and therefore he had to rant against Nietzsche. But the rise of the settled communities, which were creating surplus produce through agriculture, led to conflicts between the settlers and the nomads. Bronowski traces the origins of war to this conflict. The nomads wanted to survive by stealing the surplus agricultural production and the settlers wanted to preserve the product of their labor, and they had no choice but to fight. The invention of agriculture twelve thousand years ago did not establish the superiority of the settled way of life, but the discovery of the method of domestication of animals—sheep, goat and then the horse—energized the settled communities. Ironically, the domesticated horse also gave a significant advantage to the nomadic tribes, enabling them to travel to vast distances. 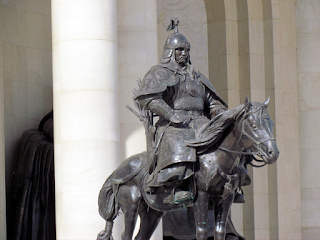 Genghis Khan, the founder of the Mongol dynasty, made use of the horse to propel his army into China, Middle East, and Central Europe. Bronowski sees the wars of Genghis Khan as the final attempt to prove the superiority of the nomadic way of life, but the attempt failed. 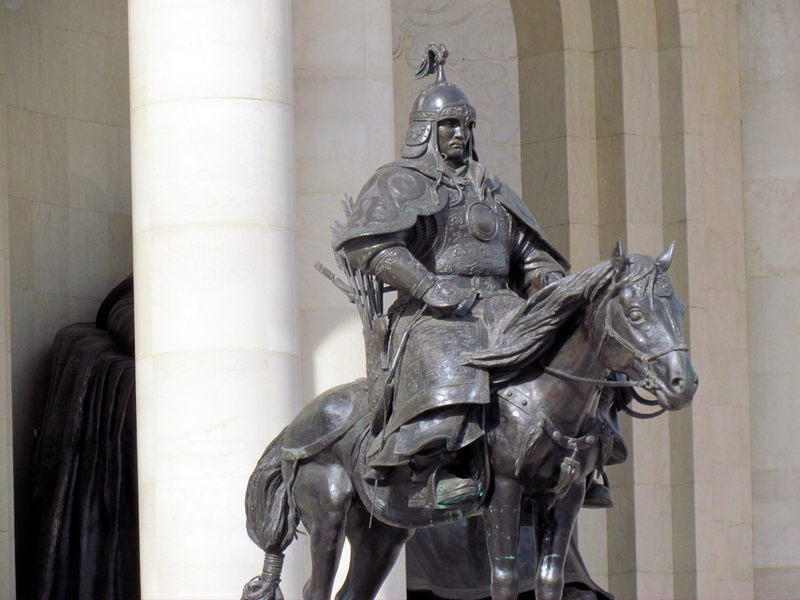 Genghis Khan was a nomad and the inventor of a powerful war machine — and that conjunction says something important about the origins of war in human history. Of course, it is tempting to close one’s eyes to history, and instead to speculate about the roots of war in some possible animal instinct: as if, like the tiger, we still had to kill to live, or, like the robin redbreast, to defend a nesting territory. But war, organized war, is not human instinct. It is highly planned and co-operative form of theft. And that form of theft began ten thousand years ago when the harvesters of wheat accumulated a surplus, and the nomads rose out of the desert to rob them of what they themselves could not provide. The evidence for that we saw in the walled city of Jericho and its prehistoric tower. That is the beginning of war. Genghis Khan and his Mongol dynasty brought that thieving way of life into our own millennium. From AD 1200 to 1300 they made almost the last attempt to establish the supremacy of the robber who produces nothing and who, in his feckless way, comes to take from the peasant (who has nowhere to flee) the surplus that agriculture accumulates. Civilization is always created by settled people, while the nomads, the people who are lacking in productive, social, and cultural roots have always been the war-makers. The Soviet leader Vladimir Lenin did not see the French Revolution as a failed movement; he saw it as an unfinished one, a necessary stage in class history. 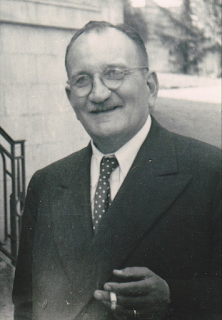 He believed that the Bolshevik Revolution in Russia would fulfill the promise of the French Revolution, finally creating a state where there would be reign of equality. 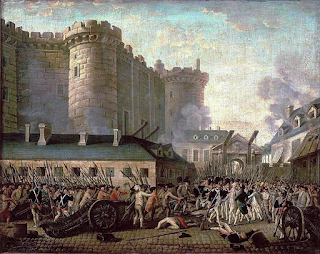 He was impressed by the violent tactics that the French jacobins had used to achieve their political aims. For several months in 1918, Robespierre stood in the Kremlin. A likeness of the French revolutionary had been ordered personally by Lenin, the head of the new Russian government, to embellish the capital of the Soviet republic. But neither bronze nor marble had been available, for the October Revolution was also a time of civil war, foreign invasion, bread shortages, sacrifice, and suffering. The statue was sculpted in weak, temporary stone. Cracks soon formed and widened, and Robespierre eventually crumbled. The statue’s collapse from within probably never caused Lenin to wonder about the fragility of the French model of revolution. On the contrary, he considered himself a jacobin, like Robespierre, who would not recoil from the use of terror to achieve his ends. Naturally, Lenin did not have a positive impression of the American Revolution. He probably viewed it as a failure because it had led to the creation of a constitution and guarantees of civlil liberties which were not important for him. 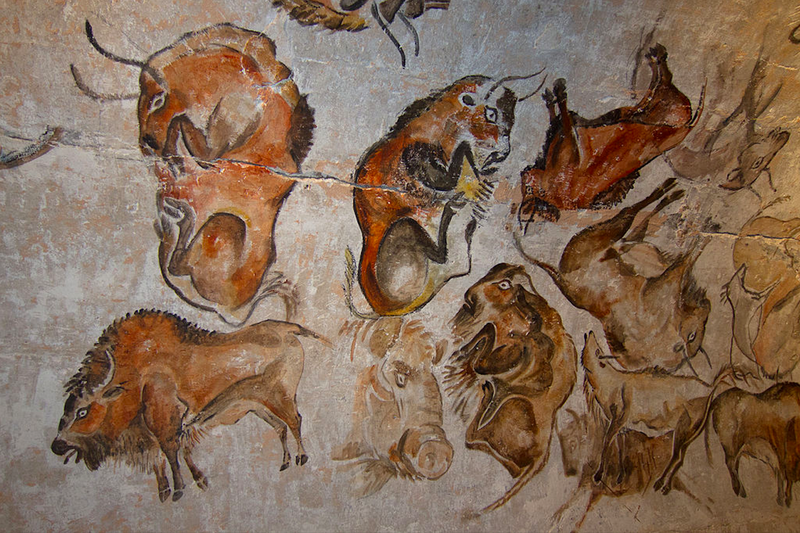 Several scholars have interpreted the cave paintings of wild animals created by prehistoric men as some kind of magic. But a man practices any magical ritual to acquire power. 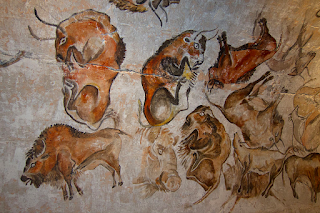 What kind of magical power did the prehistoric artists who created the cave paintings desire? Was it to make prey abundant or did they have some other motivation? I think that the power that we see expressed here [in cave paintings] for the first time is the power of anticipation: the forward-looking imagination. In these paintings the hunter was made familiar with dangers which he knew he had to face but to which he had not yet come. When the hunter was brought here into the secret dark and the light was suddenly flashed on the pictures, he saw the bison as he would have to face him, he saw the running deer, he saw the turning boar. And he felt alone with them as he would in the hunt. The moment of fear was made present to him; his spear-arm flexed with an experience which he would have and which he needed not to be afraid of. The painter had frozen the moment of fear, and the hunter entered it through the painting as if through an air-lock. For us, the cave paintings re-create the hunter’s way of life as a glimpse of history; we look through them into the past. But for the hunter, I suggest, they were a peep-hole into the future; he looked ahead. In either direction, the cave paintings act as a kind of telescope tube of the imagination: they direct the mind from what is seen to what can be inferred or conjectured. Art and science are both uniquely human actions, outside the range of anything that an animal can do. And here we see that they derive from the same human faculty: the ability to visualize the future, to foresee what may happen and plan to anticipate it, and to represent it to ourselves in images that we project and move about inside our head, or in a square of light on the dark wall of a cave or a television screen. 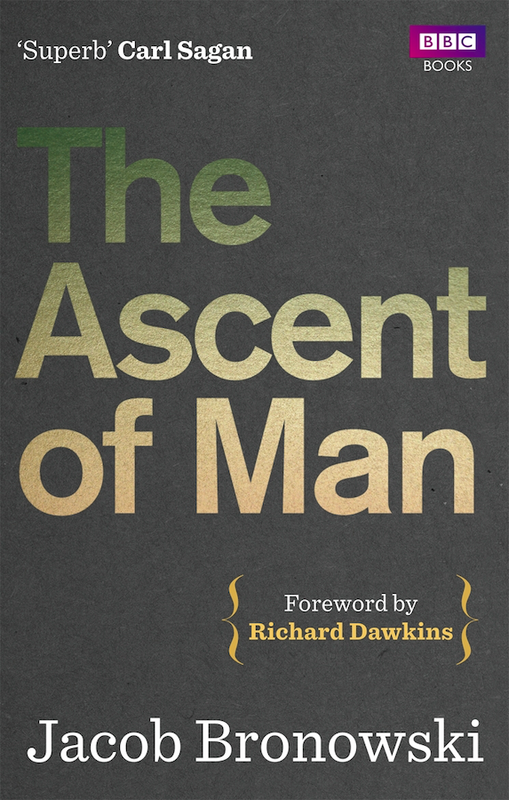 In Jacob Bronowski’s The Ascent of Man we see that our complex modern culture is a product of not only the advancements that mankind has made after civilization began about 3000 years ago, but also of mankind’s learning and experiences during the pre-historic, pre-agricultural, and even the pre-language era. Every learning creates an avenue for new learning; new innovations can result from chance discoveries, collective efforts, as well as the work of geniuses working by themselves. The ancient cave dwelling of the stone age man became an inspiration for the huts when the first agricultural settlements appeared, and the huts, in turn, became an inspiration for the modern palaces. Among the multitude of animals which scamper, fly, burrow and swim around us, man is the only one who is not locked into his environment. His imagination, his reason, his emotional subtlety and toughness, make it possible for him not to accept the environment, but to change it. And that series of inventions, by which man from age to age has remade his environment, is a different kind of evolution—not biological, but cultural evolution. I call that brilliant sequence of cultural peaks The Ascent of Man. I use the word ascent with a precise meaning. Man is distinguished from other animals by his imaginative gifts. He makes plans, inventions, new discoveries, by putting different talents together; and his discoveries become more subtle and penetrating, as he learns to combine his talents in more complex and intimate ways. So the great discoveries of different ages and different cultures, in technique, in science, in the arts, express in their progression a richer and more intricate conjunction of human faculties, an ascending trellis of his gifts. Of course, it is tempting – very tempting to a scientist – to hope that the most original achievements of the mind are also the most recent. And we do indeed have cause to be proud of some modern work. Think of the unravelling of the code of heredity in the DNA spiral; or the work going forward on the special faculties of the human brain. Think of the philosophic insight that saw into the Theory of Relativity or the minute behaviour of matter on the atomic scale. Yet to admire only our own successes, as if they had no past (and were sure of the future), would make a caricature of knowledge. For human achievement, and science in particular, is not a museum of finished constructions. It is a progress, in which the first experiments of the alchemists also have a formative place, and the sophisticated arithmetic that the Mayan astronomers of Central America invented for themselves independently of the Old World. The stonework of Machu Picchu in the Andes and the geometry of the Alhambra in Moorish Spain seem to us, five centuries later, exquisite work of decorative art. But if we stop our appreciation there, we miss the originality of the two cultures that made them. The French Revolutionaries turned every Enlightenment value upside down. They equated truth, reason, and logic with blind obedience to the will of the revolutionary council; virtue with crime, pity, and suffering; liberty with despotism and tyranny; happiness with moral weakness. Rousseau had taught the revolutionary generation that pity was the super-virtue, the source of all social virtues. “What is generosity, clemency, humanity,” he asked, “if not pity applied to the weak, the guilt, the human species in general?” True patriots would know the pleasure of shedding tears for the people and communing with their suffering. Robespierre admitted that he himself delighted in “this tender, imperious, irresistibly delicious torment of magnanimous hearts, this profound horror for tyranny, this compassionate zeal for the oppressed, this sublime and holy love for humanity.” He even proposed a touching new celebration, a national Festival of Unhappiness—“La Fête à malheur”—which would honor unhappiness. The Revolution he confessed, could not entirely banish unhappiness from the earth but it could comfort and console the wretched and abject people in France. 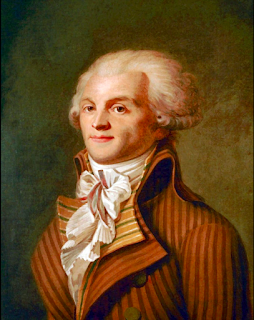 However, Robespierre’s vision of a community ruled by the ideals of virtue, pity, and suffering was not an inclusive one—he believed in Rousseau’s saying that “pity for the wicked is a great cruelty toward men.” So Robespierre and his fellow revolutionaries did not show any pity to their political rivals, who, they thought, were wicked and traitors to the fatherland. The 1760s were a period of great tension for Jean-Jacques Rousseau. His books had been condemned by political and cultural institutions. Warrants for his arrests had been issued in Switzerland and Paris, and in a few places there were instances of his books being publicly burned. He saw real and imaginary enemies in every direction, and since 1763, he had been moving from place to place to save himself. 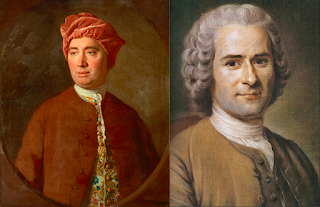 In mid-December 1765 Rousseau met Hume in Paris and they crossed the English Channel on January 4, 1766. Hume had been warned by some of his Parisian friends that Rousseau was a viper who could never be trusted, and that he had betrayed everyone who had tried to do him good in the past. But Hume dismissed these warnings, even though between him and Rousseau there were immense temperamental and philosophical differences. Rousseau started seeing supposedly sinister intentions in Hume while they were still on way to their destination in England, and within days of reaching London his suspicions were further inflamed. He did not enjoy living in London because of the large crowds, so Hume arranged a refuge for him in the countryside. However, Rousseau continued to be plagued with suspicions and his stay soon became unbearable; on March 19, 1766, three months after they first met, he departed, never to see Hume again. Egged on by his companions, Rousseau continued to nurse his paranoid suspicions and detected an international conspiracy, headed by none other than Hume, to defame him. On June 23, Rousseau wrote an angry letter to Hume accusing him of trying to control him. 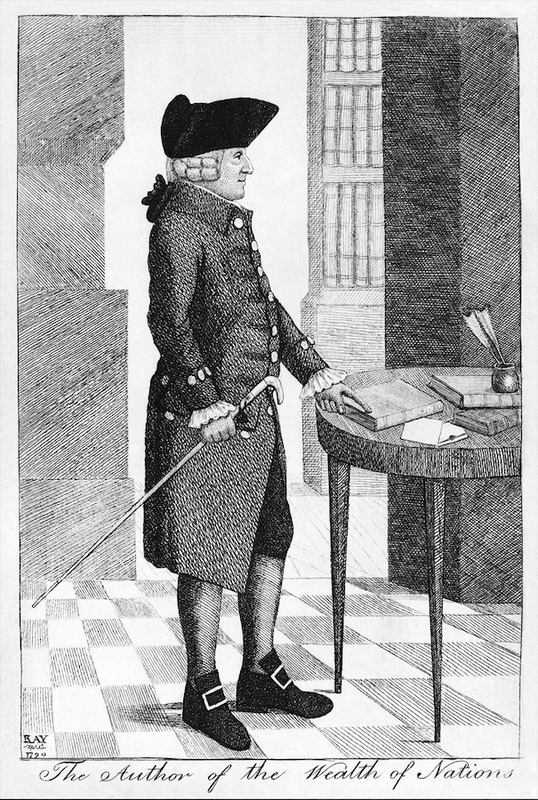 Hume demanded an explanation from Rousseau. In his 38 page long letter of July 10, Rousseau revealed his view of the gigantic Hume-led international plot against him. He says in the letter that the kindness that Hume had shown to him — bringing him to England, finding a suitable place for him to stay, securing him a pension from George III — was a way of gaining control over his mind, making him feel indebted. Rousseau was convinced that Hume was motivated by the desire of destroying his greatest philosophical rival in Europe. In the letter, he alleges that Hume was in contact with his enemies in France, and that Hume had inspired the newspapers to publish unflattering stories on him. Hume was baffled by Rousseau’s letter, and regarded it as a “perfect frenzy.” But he was worried that Rousseau, who was one of Europe’s most powerful and popular authors, would use his pen to ruin his reputation. Looking for sympathy and advice, Hume told a few of his close friends about this “foolish affair.” His friends rallied by his side and with his permission they published a book in which all the facts were presented to enable the readers to make up their mind. The French edition of the book was published in October, and its English edition titled A Concise and Genuine Account of the Dispute between Mr. Hume and Mr. Rousseau was brought out in London in November. To capture the psychology of Dominique, a bitter and discontented heiress, Rand conjured up her own darkest moods. She tapped into all the frustration and resentment of her early years, her feeling that the world was rigged in favor of the mediocre and against the exceptional, and then imagined, “[W]hat if I really believed that this is all there is in life.” In the novel Howard would teach Dominique to let go of these poisonous attitudes, just as Rand herself had become more optimistic with her professional success and freedom to write. She combined this introspection with a new analysis of Frank, her beloved but troubling husband. When they first met, Frank was brimming with hopes and plans for his Hollywood career. He had several near misses, including a screen test with D. W. Griffith for a part that helped establish Neil Hamilton (later famous on TV as Batman’s Police Commissioner Gordon). But as Rand’s fortunes soared ever upward, Frank’s collapsed. In New York, with Rand’s income sufficient to support them both, Frank idled. He took charge of paying the household bills but made little effort to establish himself in a new line of work. It was an inexplicable turn of events for Rand, who valued career above all else. Now, as she crafted Dominique, Rand hit on a satisfying explanation for Frank’s passivity. Dominique, like Frank, would turn away from the world in anger, “a withdrawal not out of bad motives or cowardice, but out of an almost unbearable kind of idealism which does not know how to function in the journalistic reality as we see it around us.” Dominique loves Howard, yet tries to destroy him, believing he is doomed in an imperfect world. Confusing and conflicted, Dominique is among Rand’s least convincing creations. More important, though, was the effect this character had on Rand’s marriage. Seeing Frank as Dominique glossed over his professional failures and cast his defeated resignation in terms Rand could understand. 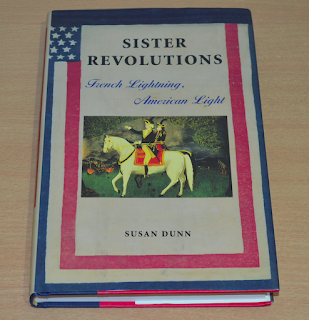 Before I read Burns’s book, I didn’t know that Frank O’Connor was the inspiration for Dominque. In the Footnote, Burns refers to Rand’s Biographical Interview as the source for this information. As far as I know, the Biographical Interview is not available in the market. 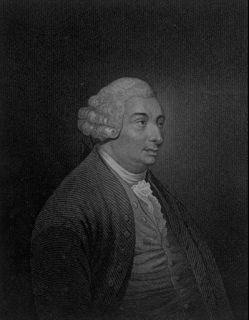 Adam Smith’s The Theory of Moral Sentiments is heavily influenced by the moral theory of his friend, David Hume. When the book was published in 1759, Smith naturally sent a copy to Hume who responded with an affectionate and charming letter, dated 12th April, 1759. Hume begins the letter by thanking Smith for “the agreeable present of your Theory.” But after that he concocts distraction after distraction to delay his opinion of the book. But what is all this to my book? say you.—My dear Mr. Smith have patience: Compose yourself to tranquillity: Show yourself a philosopher in practice as well as profession: Think on the emptiness, and rashness, and futility of the common judgments of men: How little they are regulated by reason in any subject, much more in philosophical subjects, which so far exceed the comprehension of the vulgar. Supposing, therefore, that you have duly prepared yourself for the worst by all these reflections, I proceed to tell you the melancholy news, that your book has been very unfortunate; for the public seem disposed to applaud it extremely. It was looked for by the foolish people with some impatience; and the mob of literati are beginning already to be very loud in its praises. Hume gave copies of The Theory of Moral Sentiments to highly placed politicians and intellectuals, including Edmund Burke. He also wrote an anonymous review for the Critical Review in May 1759 and brought further attention to Smith’s work. He praises Smith throughout the review, even though he does not pronounce a judgement on the ultimate soundness of Smith’s ideas, insisting that “time alone is the great test of truth.” When the time came for a new edition of Smith’s book to be published, Hume suggested some additions and alterations. Altogether, Hume’s response to The Theory of Moral Sentiments—the mixture of praise, critical engagement, and unconditional support—was entirely characteristic of Hume’s interactions with his friends. Smith had paid Hume the ultimate compliment by making him the key (even if unnamed) interlocutor in his first book, and Hume returned the favor by boosting Smith’s spirits on its release, helping to publicize his book, and pushing him to refine his ideas. What more could one want from a philosophical friendship? Will Philosophy Have a Future? Philosophy is the discipline which explores the most abstract portion of intellectual space. As our intellectual space expands, there will be new abstract areas to explore. Therefore philosophy will always have a future. To say that philosophy is coming to an end is tantamount to saying that the abstraction-reflexivity sequence is coming to an end. It is to say that there are no more deep troubles to drive oppositions, no more law of small numbers dividing the attention space, no more rearrangements of the networks in reaction to shifts in the organization bases of intellectual life. It is a partisan theme which announces that the era of foundational questions is over, a move within the normal oppositions of struggle over intellectual attention space. The call for the end of philosophy is recurrent, a standard ploy in intergenerational rearrangements, usually a prelude to a new round of deep troubles and new creativity. The version popular in the 1980s and 1990s is couched in the terms of heightened reflexivity of this era. It fails to take sociological reflexivity far enough to perceive the nature of philosophical turf. The search for permanent foundations is another recurrent ploy, the standard terminology of staking a claim on a certain region of the intellectual battleground. Neither side perceives that philosophy is the terrain of struggle, and that deep troubles, not permanent solutions, are the treasures which are the implicit focus of the struggles for possession of the attention space. Philosophy is the turf of intellectuals who perpetually re-dig their conceptual foundations. Foundations are their terrain, not because they are bedrock, but because they are the ever-receding apex of the abstraction-reflexivity sequence—receding not upward to the heavens but downward and inward. This endless digging no more dissolves philosophy into nothingness than Leibniz’s infinitesimal calculus made an unreality out of the continuum. The same can be said for the diagnosis that philosophy becomes exhausted as its contents eventually split free to become empirical sciences. This conception rests on dim awareness that there are branching paths of the abstraction-reflexivity sequence, a polemical awareness that identifies philosophy with the cosmological sequence alone. This misperceives the character of the philosophical attention space, and fails to see that sciences find their niche at a lower level of abstraction. The social practices of modern rapid-discovery natural science are not those of intellectual networks in philosophy, and their niches in attention space to do not supplant one another. The end of philosophy was proclaimed yet again when the modern social sciences split off from philosophical networks. As we have seen, there have been substantive repercussions of both these breaks within the contents of modern philosophy. It would be the wrong inference to see in this anything more than the energizing flows that happen in intellectual networks when their surrounding material bases are changed, opening up the factional space for creative realignments. Most recently, the organizational revolution of the modern university made it possible to expand the number of specialized disciplines, and each new alignment provides new topics for argument on the most abstract intellectual space. Philosophy is more than the womb of disciplines, and there is no danger of its emptying out to find nothing left of its own. On the contrary, the splitting off of specific empirical disciplines has laid bare the core topics and deep troubles of the abstraction-reflexivity sequence. As long as there are intellectual networks capable of autonomous action to divide their own attention space, there will be philosophy. If we but knew the social structure of the intellectual world from now until the end of human-like consciousness in the universe, we could chart as long a sequence of future generations of philosophers. So elusive were the unity and unanimity that Robespierre pursued that he ultimately declared in one of his most bizarre, paranoid fantasies that France’s enemies—Austria, England, Russia, Prussia, and Italy—had established within France a rival government that had achieved the unity that the French themselves were incapable of mastering. The last speech that Robespierre made to the Convention before he was overthrown and guillotined was a 15,000-word rambling harangue about corruption and conspiracies, ending with a final exhortation to his colleagues to wake up to the vast plot against public freedom. “This conspiracy owes its strength to a criminal coalition that weaves its webs inside the Convention itself… What is the remedy for this disease? Punish the traitors,… purge the Comité de Sûreté Générale, purge the Comité de Salut Public itself, and use the full weight of national authority to decimate all factions!” Cosnpiracies factions, traitors purges, death—the monotonous, paranoid litany never varied, neither for Robespierre nor for his fellow Jacobins nor even for their more moderate adversaries. The French Revolution is a good example of a philosophical and political movement that was dedicated to the ideals of liberty, individualism, reason, and science, but it gave rise to a totalitarian state which wanted to purge all for the salvation of all. Everyday I come across new stories on the chaos in Donald Trump’s administration. 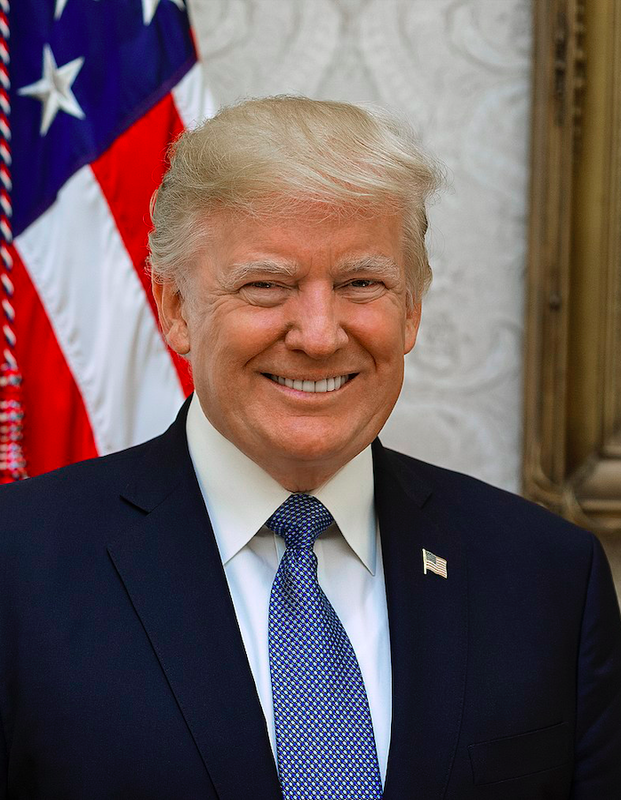 He is criticized for using his Twitter account to attack his opponents, and for being in perpetual conflict with the mainstream media, intellectual community, political establishment, and even with the powerful institutions of his own government and the members of his own staff. Is the chaos that we see in the Trump presidency a good thing or bad thing for the Republic (USA)? If we go by the insights on a republic that Niccolò Machiavelli offers in The Discourses on Livy, then we can draw the inference that the Trump presidency is a fairly good form of republican government. Machiavelli was of the view that a republic is energized by conflict. Without conflict, there can be no politics and no freedom for the citizens. The interests of the citizens can be safeguarded only when the political and intellectual circles are mired in conflicts of all kinds. Machiavelli uses the word “tumult” several times in his book to describe the noisy and disorderly political culture in ancient Rome. He notes that the tumult between Rome's political factions, and between its nobles and plebs had a beneficial impact—it energized the Roman republic and preserved the freedom of its people. He is the first philosopher to assert that the conflict between political factions and sections of society is useful and good. I say that to me it appears that those who damn the tumults between the nobles and the plebs blame those things that were the first cause of keeping Rome free, and that they consider the noises and the cries that would arise in such tumults more than the good effects that they engendered. In another passage, Machiavelli says that the tumults were a “guard on Roman freedom,” and that if Rome had been more tranquil, it would have lost its energy. If the period of tranquility were to last for too long in any republic, then instead of being strengthened, the society would lose its energy, and its political and intellectual culture would see a steep downfall. Machiavelli understood that the very nature of politics is conflictual, and only when the ruling class is tolerant of conflict and chaos that there is freedom for the citizens. I am convinced by Machiavelli’s arguments on the functioning of a republic, and I think that Donald Trump should be cheered for his chaotic governing style. Alexis de Tocqueville points out in his book The Old Regime and the Revolution that the French Revolution was doomed because it was being led by philosophers whose learning came mostly from books and who had no experience of running an institution or a country. These philosophers demanded immediate perfection. They destroyed all the political and cultural institutions in France in order to make a new beginning. They naively believed that a great new nation can be built quickly by the ideas of “reason” alone. 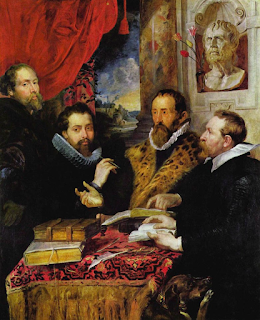 Ultimately, the men who were attuned to change, who had insight into the movement of society, were not men of experience of power but rather men of imagination and vision: France’s men of letters. Whereas experienced politicians dismissed as a preposterous fantasy the idea of radically changing France’s political and social structure, intellectuals possessed the audacity and imagination to believe that people could transform French society. Only they had the creativity and vision to think that they could build, on top of the ruins of the old order, a just society. The irony is that the philosophers who were the proponents of this total and sudden transformation of French society could not escape the fury of the Revolution. They too were consumed by the violence that swept France. In 1752, David Hume published his book the Political Discourses, which is a collection of essays on a subject that was in his time called political economy and is today known as economics. 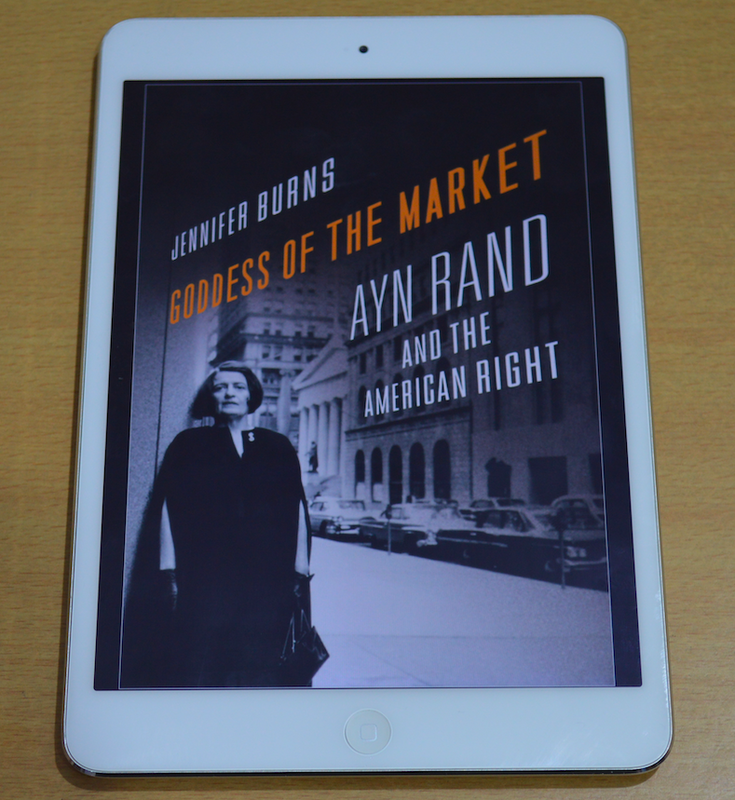 The ideas that he presents in these essays are broadly similar to the economic theory that Adam Smith describes in his The Wealth of Nations, published in 1776. 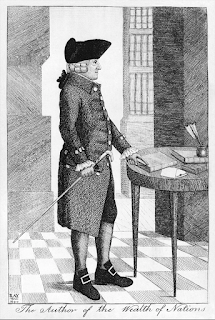 Hume has exercised heavy influence on Smith’s economic thinking. There are numerous references, both explicit and implicit, to Hume in virtually all of Smith’s writings. 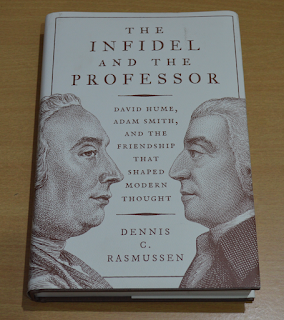 Dennis C. Rasmussen, in his book The Infidel and the Professor: David Hume, Adam Smith and the Friendship that Shaped Modern Thought, notes that within a month of the publication of Hume’s Political Discourses, Smith gave an account of Hume’s economic thinking to a gathering of professors. He was impressed by Hume’s empirical argument against British mercantilism. This can only mean that Hume had shared the work with Smith prior to publication. Rasmussen points out that many of Hume’s arguments anticipate those of Smith’s great work. Hume holds that the true source of a nation’s wealth is not gold or silver or a positive balance of trade but a productive citizenry, and that free trade works to the benefit of all parties involved—the rich and the poor, the government and the populace. He speaks against the numerous regulations that England and other European nations have put on trade. In his essay, “Of Luxury,” which in the later editions he retitled “Of Refinement in the Arts,” Hume insists that there is nothing particularly noble or redeeming about poverty, nor anything intrinsically objectionable about luxury. Hume’s Political Discourses was widely read and praised in Britain and France. In his biography My Own Life, Hume singles out this volume as “the only work of mine that was successful on the first publication.” It is also worth noting that Hume was a Conservative Tory in his politics. 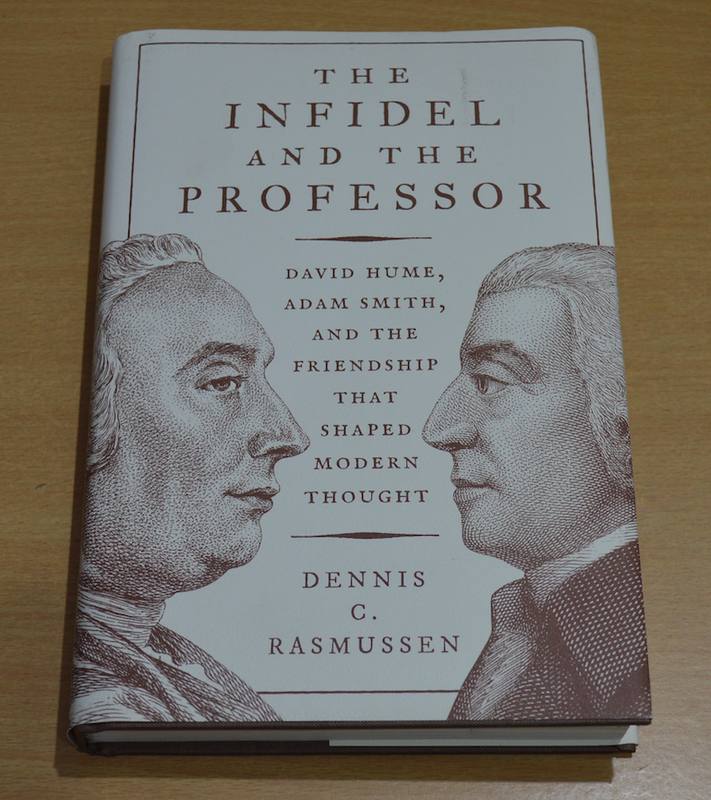 The Infidel and the Professor: David Hume, Adam Smith and the Friendship that Shaped Modern Thought, by Dennis C. Rasmussen, provides an interesting portrait of the intellectual environment in which David Hume and Adam Smith did their work, and the deep friendship that developed between them after their first meeting, which, according to Rasmussen, happened in 1749. Hume has exercised an amazing amount of influence on several important thinkers. Immanuel Kant, Charles Darwin, Albert Einstein, and Adam Smith were influenced by him. Whereas these leading philosophers of friendship tend to analyze the concept in the abstract—the different forms that friendship takes, its roots in human nature, its relationship to self-interest, to romantic love, and to justice—a consideration of Hume and Smith allows us to see that rare thing, a philosophical friendship of the very highest level in action: a case study, as it were… Indeed, there is arguably no higher example of a philosophical friendship in the entire Western tradition. It takes some effort, in fact, to think of who the closest rivals would be. Socrates and Plato? Given the four-decade age disparity between them, their relationship was probably more one of teacher and student, or perhaps mentor and protégé, than one of equals, and in any case the record of their personal interactions is scant. 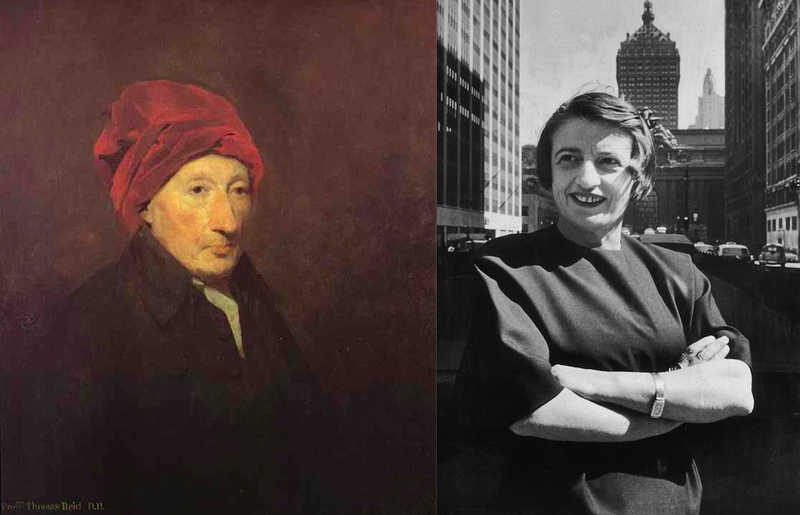 Hume is generally seen as a philosopher who is interested in abstract metaphysical and epistemological questions, while Smith is seen as a philosopher of practical matters, like economic theory. Also, Hume was a conservative Tory in his politics, while Smith was a liberal Whig; and Hume was a skeptic with regard to religion or perhaps even an atheist, while Smith had cultivated for himself the image of a confirmed believer. But going beyond these caricatures, Rasmussen shows that the intellectual interests of Hume and Smith overlapped a great deal as both were interested in almost everything. Hume has argued for free trade decades before Smith, while Smith has written extensively on moral theory which is inspired by Hume’s thoughts. I am currently on the page 70 of the book. I will have more to say on it in my future posts. 1. Underlining: of major points, of important or forceful statements. 2. Vertical lines at the margin: to emphasize a statement already underlined. 4. Numbers in the margin: to indicate the sequence of points the author makes in developing a single argument. 5. Numbers of other pages in the margin: to indicate where else in the book the author made points relevant to the point marked; to tie up the ideas in a book, which, though they may be separated by many pages, belong together. 6. Circling of key words or phrases. 7. Writing in the margin, or at the top or bottom of the page, for the sake of: recording questions (and perhaps answers) which a passage raised in your mind; reducing a complicated discussion to a simple statement; recording the sequence of major points right through the books. I use the end-papers at the back of the book to make a personal index of the author's points in the order of their appearance. I have used all the seven methods to mark the books that I have read. 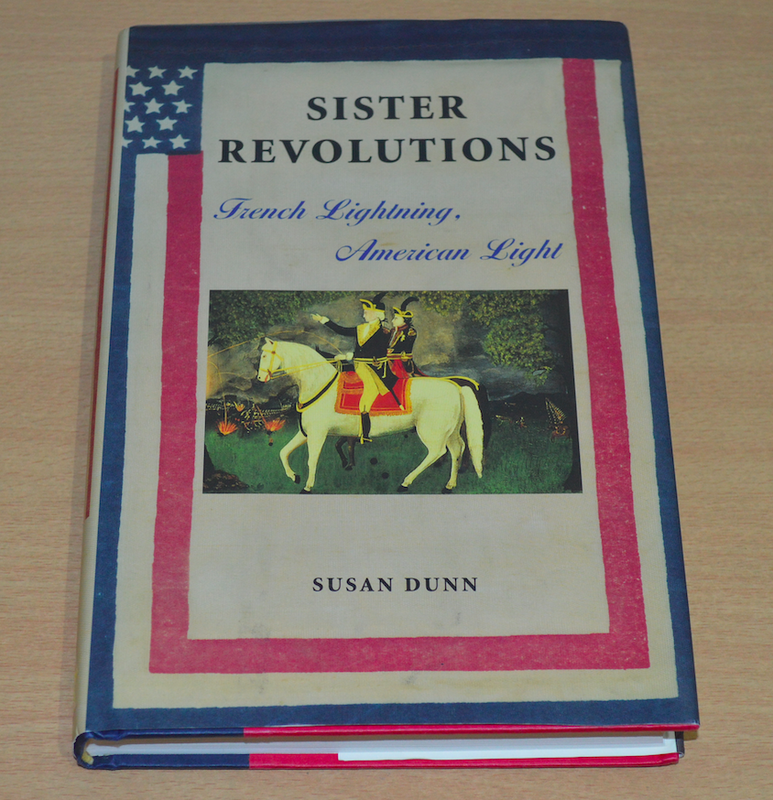 But Adler notes that "marking up a book is not an act of mutilation but of love." How to Study a Philosopher? "In studying a philosopher, the right attitude is neither reverence nor contempt, but first a kind of hypothetical sympathy, until it is possible to know what it feels like to believe in his theories, and only then a revival of the critical attitude, which should resemble, as far as possible, the state of mind of a person abandoning opinions which he has hitherto held. Contempt interferes with the first part of this process, and reverence with the second. Two things are to be remembered: that a man whose opinions and theories are worth studying may be presumed to have had some intelligence, but that no man is likely to have arrived at complete and final truth on any subject whatever. When an intelligent man expresses a view which seems to us obviously absurd, we should not attempt to prove that it is somehow true, but we should try to understand how it ever came to seem true. This exercise of historical and psychological imagination at once enlarges the scope of our thinking, and helps us to realize how foolish many of our own cherished prejudices will seem to an age which has a different temper of mind." Arthur Schopenhauer has referred to Georg Wilhelm Friedrich Hegel and Johann Gottlieb Fichte more frequently than to John Locke but his remarks about Hegel and Fichte are mostly derisive, whereas he has some positive things to say about Locke. Also, he has referred to Locke more often than to David Hume and George Berkeley combined. Part of his motivation for frequently referring to Locke is that he wants to contrast him with Hegel and Fichte. In his Die beiden Grundprobleme der Ethik, Schopenhauer says that it must be to Locke’s credit that Fichte calls him the worst of all philosophers. Why did Schopenhauer refer to Locke more frequently than he did to his fellow classical British empiricists? Why did Schopenhauer regard Locke as a summus philosophus? To answer these questions, it is necessary to understand how Schopenhauer viewed Kant's relationship to Locke, since he saw himself intimately related to Locke through a mediation by Kant: “Accordingly, it will be seen that Locke, Kant, and I are closely connected, since in the interval of almost two hundred years we present the gradual development of a coherently consistent train of thought”. Insofar as Schopenhauer considered himself a Kantian, and as he saw Kant as Lockean, Schopenhauer viewed his philosophy standing in a philosophical lineage traceable to Locke. Schopenhauer also tended to view his relationship to Kant in terms comparable to those through which he conceived Kant's relationship to Locke. Just as Schopenhauer claimed that his philosophy transcended Kant's, while retaining fidelity to Kantian insights, he claimed that Kant’s philosophy transcended Locke’s, while retaining fidelity to Lockean insights. But Schopenhauer's fidelity to Kant extends only to dimensions of his metaphysics and epistemology. Schopenhauer radically rejected Kant's practical philosophy, and he used the empirically minded Locke as an ally against Kant's ethics. Schopenhauer had several differences with Kant’s moral philosophy. 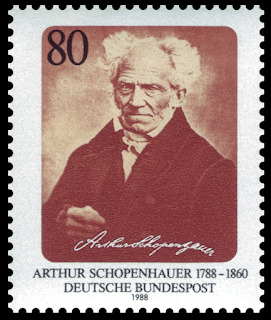 In contrast to Kant’s non-empirical, prescriptive ethics of duty, Schopenhauer developed an empirically based descriptive virtue ethics. In his On The Basis of Morality, Schopenhauer makes it clear that his ethics “is in essentials, diametrically opposed to Kant’s.” In order to travel on the path of his kind of ethics, Schopenhauer had to appeal to the empirically minded Locke. If Galileo had attempted a complete system of natural philosophy, he had, probably, done little service to mankind: but by confining himself to what was within his comprehension, he laid the foundation of a system of knowledge, which rises by degrees, and does honour to the human understanding. Newton, building upon this foundation, and in like manner confining his inquiries to the law of gravitation and the properties of light, performed wonders. If he had attempted a great deal more, he had done a great deal less, and perhaps nothing at all. Ambitious of following such great examples, with unequal steps, alas! and unequal force, we have attempted an inquiry only into one little corner of the human mind; that corner which seems to be most exposed to vulgar observation, and to be most easily comprehended; and yet, if we have delineated it justly, it must be acknowledged that the accounts heretofore given of it were very lame, and wide of the truth. These lines from Reid’s Inquiry make me think of Ayn Rand’s philosophy. The reason there are so many inconsistencies and errors in her thought is that she is a philosopher of the “whole,” virtually everything. 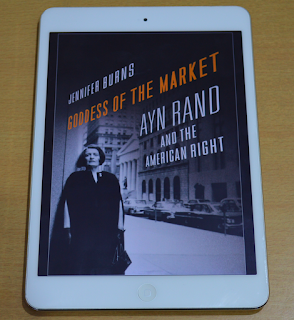 She conceived of objectivism in the late 1950s as a complete system for living on earth. But the quest for a complete system for living on earth is as delusional as the quest for Bigfoot, which can never be found because it doesn’t exist. No one in the history of humanity has ever created a complete system for living on earth, and no one ever will in the future. 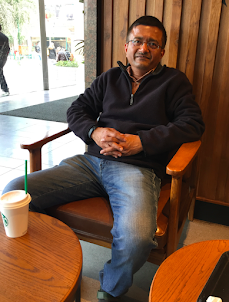 Philosophy will keep evolving as the knowledge of mankind evolves in other areas of activity. In her eagerness to create a complete system for living on earth, Rand wrote and spoke on a range of topics. 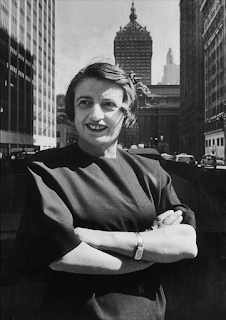 From Metaphysics to Epistemology, Aesthetics, Ethics, and Politics; from Plato and Aristotle to Immanuel Kant and the Logical Positivists; from theory of mind and body to the theory of evolution; abortion, family life, education, sports, libertarianism, conservatism, foreign policy, race relations—in the Ayn Rand Lexicon, you can find a Rand quote on virtually everything. But in many cases, a small quote is all that we have from her on any particular subject, as she has not revealed the arguments on the basis of which she has developed her conclusions. 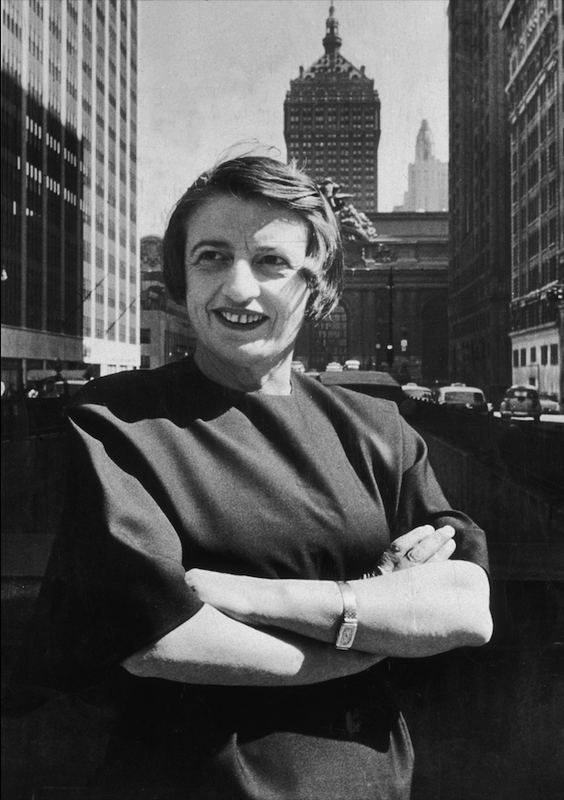 If instead of speaking on so many topics, she had focused on the core areas of her expertise, and given us the complete treatises on those areas, then she would have created a work of much more value under the banner of objectivism. I agree with Reid that thinkers must confine themselves to the area of their expertise if they want to leave behind a work of any value. Robert Nozick, in his essay, “The Randian Argument,” (Socratic Puzzles; Page 249 - 264), tries to show that Ayn Rand does not objectively establish the conclusions that she reaches in her work on moral theory. He says that it is not clear to him what Rand’s argument is so he must try to set out the argument as a deductive argument and then examine the premises. So his methodology consists of reducing Rand’s moral theory (his understanding of it) into four arguments or conclusions, each one of which he examines in turn. But his critique of Rand’s argument is not right. 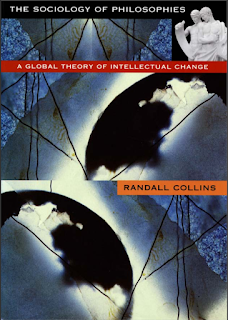 Douglas Den Uyl and Douglas B. Rasmussen, in their essay, "Nozick on the Randian Argument,” (Reading Nozick, Edited by Jeffery Paul, Page: 232 - 269), show that four conclusions that Nozick has set up for consideration cannot be attributed to Rand, because they are an outcome of his flawed understanding of her theory. And the multiple premises that Nozick uses to construct Rand’s argument for each one of the conclusions which he attributes to her are also not Randian. In the final section of their essay, Den Uyl and Rasmussen offer their version of the Randian argument using the methodology that Nozick has used in his own essay. They point out that their Randian argument is not an “exhaustive and definitive statement of the Randian derivation. Since we are not quoting directly from Rand and other such derivations (certainly more complete ones) might be possible.” But I find their Randian argument to be quite useful. Now the question is why did Nozick, an experienced Harvard professor, who is sympathetic to Rand’s libertarian views and has found her novels to be “exciting, powerful, illuminating, and thought-provoking”, write such a pointless critique of her moral theory? I have no answer to this.